Since 1987, it has been the mission of Living Nature, a New Zealand based company, to promote healthy, vibrant skin with their line of 100% natural skincare and cosmetic products using the healing properties of native plants. All products are manufactured with unique native botanicals such as Manuka Honey, Hallo Clay, and Kelp that harness the purifying, healing and nourishing benefits found only in nature. Their highly effective, energetic skincare line is designed to enhance your skin’s own natural beauty and function. 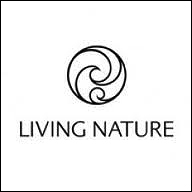 Living Nature products contain no synthetic ingredients. The full line is Certified Natural by BDIH Germany, a world-leading independent auditor of natural skincare. All products are independently verified for purity, efficacy and safety and are naturally preserved with strong antimicrobial ingredients unique to New Zealand. Nourishing Day Cream – This nutrient-rich cream rejuvenates and draws in moisture with active Manuka Honey while native antioxidant Totara Extract effectively neutralizes damaging free radicals. Firming Eye Cream – Winner of the 2011 Jamie Lee Grace Awards for Best Natural Eye Care Product. With nourishing active Manuka Honey and hydrating Harakeke Flax Gel, Firming Eye Cream is highly concentrated and easily absorbed to help minimize the aging effects of stress and wear around your eyes. For all skin types. Deep Cleansing Mask – Made with ultra-purifying Halloysite Clay, this Deep Cleansing Mask will detoxify the skin, leaving it clear and balanced, with pores refined. Antimicrobial Manuka extract helps cleanse and heal, while active Manuka Honey nourishes and repairs. For acne-prone and oily to normal skin. Manuka Honey Lip Balm – With Manuka Honey, Calendula and organic Shea Butter to deeply nourish, smooth and protect lips by sealing in moisture and preventing dehydration. Firming Flax Serum – With active Manuka Honey as a nourishing humectant and Rosehip Oil to rejuvenate the skin, Firming Flax Serum is nature’s wrinkle defense. More powerful than aloe vera, the Harakeke Flax Gel in our award-winning serum is a mild astringent, causing pores to contract and preventing moisture loss for fewer fine lines and wrinkles. Winner: “Best Skin Serum”, 2011 Natural Health Beauty Awards. Ultra Rich Body Cream – A nutrient-rich cream with active Manuka Honey, Cupuacu and Murumuru butters to deeply nourish and moisturize, and natural oils to soothe and condition the skin. The ultimate all over body treat for all skin types particularly dry, mature, or thirsty skin. This entry was posted in Home and tagged Deep Cleansing Mask, Firming Eye Cream, Firming Flax Serum, Living Nature, Manuka Honey Lip Balm, Nourishing Day Cream, Ultra Rich Body Cream. Bookmark the permalink.